Run the Vizit installer on a non-SharePoint machine. The installer will prompt for a location to place the contained WSP file. Save it to a known location. Change the extension of the WSP file to ".cab". Double click on the .cab file to open it. Locate the Vizit.API.dll and Vizit.API.Interfaces.dll files and save them to a known location. You can now make a reference to these assemblies in projects. Vizit.API makes direct calls to other Vizit assemblies which, in turn, make direct calls to Microsoft.SharePoint assemblies. Any code that makes calls to Vizit.API must be run on a SharePoint server with a licensed copy of Vizit installed. Extract and save the DLLs to a known location. You can now make a reference to these assemblies in your project. Vizit.API makes direct calls to other Vizit assemblies which, in turn, make direct calls to Microsoft.SharePoint assemblies. Any code that makes calls to Vizit.API must be run on a SharePoint server with a licensed copy of Vizit installed. You can write your custom code in any environment, but to test it, you must run it on the aforementioned Sharepoint server with a licensed copy of Vizit. Just like with Microsoft.SharePoint assemblies, the Vizit.API and Vizit.API.Interfaces assemblies should not be included in your deployment. The code making calls to Vizit.API must be run on a SharePoint server with Vizit installed. The Vizit.API and Vizit.API.Interfaces assemblies that correspond with the currently installed release will be deployed through Vizit's solution file. 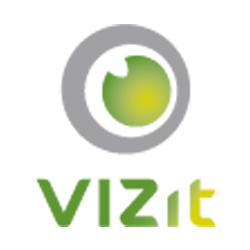 The version number of the Vizit.API and Vizit.API.Interfaces assemblies will remain 1.0.0.0.